* "Html-To-Pdf" creates PDF files from HTML, CSS, jаvascript, and Images. 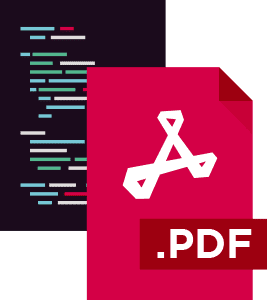 * "ASPX-To-Pdf" converts ASP.NET web forms directly into downloadable pdfs. IronPDF allows developers to create PDF documents easily in C#, F#, and VB.Net for .NET Core and .NET Framework. In this example we show that a PDF document can be rendered using HTML. You can choose simple HTML like the above, or incorporate CSS, images and jаvascript. IronPDF rendering closely follows Google Chrome. Requires .Net Framework 4.0 or above on the Windows platform. Compatible with cloud hosting services including Microsoft Azure.